Currently, artificial intelligence is one of the hottest topics, both – in the real world and on the internet. On a daily basis, we are witnessing controversial claims about the pros and cons of the technology, ranging from: “it will help us erase all diseases”, to “it will erase the human race”. Nowadays, we are leaning towards thinking about the technology like it has some superpowers that can solve all types of issues that we are and will be facing in the future or just the opposite – it will create some of the worst problems that we have ever imagined. But in reality, is there any truth in these beliefs? Are we about to lose or gain more with the adoption of artificial intelligence? ​The opinions are far too polar, but the truth is that the buzz around artificial intelligence is unreasonable. It is not our savior, nor our destroyer. And it doesn’t seem it can become such in the near future. ​In reality, the idea of a thinking machine is as old as the concept of modern computing, dating back to the 1950s. ​​However, it was the last decade that saw the biggest progress in the development of artificial intelligence. This contributed to the tremendous hype around the technology which painted it in a way-too-perfect or, on the other hand, way-too-unpleasant picture. ​Besides, the popularity of artificial intelligence grew at the expense of distorting some of the available information. Due to this, to most people, the perception of the technology is often confusing. In the following article, we are about to go through the top 20 pros and cons of artificial intelligence to bust the myths, surrounding its adoption, application and advantages. Artificial intelligence helps deal with time-consuming and daunting tasks, such as credit scoring, performing background checks, analyzing documentation and drafting conclusions, etc. High-processing computer power, backed with efficient algorithms allow companies to significantly optimize their processes. For example, JP Morgan’s Contract Intelligence system (COIN) is able to significantly shorten the time needed to interpret commercial loan agreements. The bank reveals that the 12 000 contracts that are being processed on an annual basis are now analyzed in a matter of seconds, instead of the 360 000 hours that employees previously needed in order to fulfil such task. The chance to eliminate such mundane tasks from human workload schedule helps increase productivity and frees up time for handling more complex tasks. One of the most daunting processes within financial institutions is fraud detection. Artificial intelligence helps optimize such time-consuming and complex tasks by employing advanced techniques such as pattern-recognition. That way, oversight authorities and lenders can easily detect frauds and money-laundering. Due to the high efficiency of the employed algorithms, the several factors (origin/destination of the payment, customer name, business entity details, history and etc.) that should be taken in mind for fraudulent activities to be detected, are processed in a quick and optimized way. As human’s workload increases, the efficiency and accuracy of the performed tasks decreases, thus making the individual’s work more prone to errors. With machines, there is no such risk as everything works exactly as programmed. This is a very important advantage for high-precision works in sectors such as space exploration, where there are no margins for error. The automation of processes within institutions helps reduce costs and improve operations. By delegating low-level tasks to computers, companies are able to reduce their staff and cut their wage bill. Artificial intelligence contributes to the financial health of the company in the regard that the only investment that is needed is the initial one – for the development and the integration of the system. On the other hand, if the same tasks were performed by humans, the costs will be ongoing each month. Figures from Stanford University’s Annual Artificial Intelligence Index Report highlight the remarkable recent boom in the AI niche with 14x more active US startups focused on AI development since 2000. Apart from that, the study points out that today there are 6x more annual VC investments into U.S. Artificial Intelligence startups since 2000, as well as 4.5x more jobs requiring Artificial intelligence skills, when compared to the last 5 years. PwC’s Global AI Study estimates that global GDP will be 14% higher by 2030 thanks to AI adoption, which makes it one of the biggest contributors to global growth. Robots are capable of helping us mitigate the risk for human lives during dangerous missions, such as exploring the ocean, navigating hard-to-reach areas after floods, fires, earthquakes or hurricanes, researching mining areas, etc. This helps us gain valuable insights and analyze important information, but without having to risk human lives. Today, the adoption of artificial intelligence in our everyday lives is constantly growing. 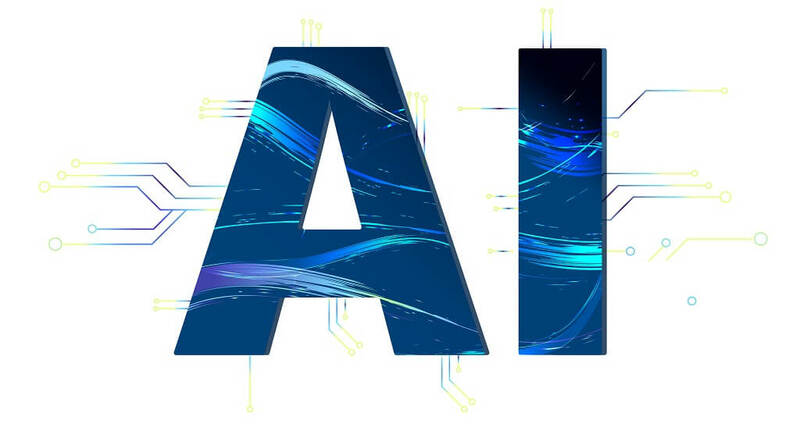 From the smartphones that we use, through our cars, classic brokerage accounts, to social media, modern investment apps, e-commerce and even at our work desk – AI is touching almost every aspect of our day-to-day activities and helps us improve our daily routines. Applying artificial intelligence in healthcare has many benefits. Today, the technology is widely adopted in medicine, mostly for the purpose of diagnosing. Thanks to its efficiency when scanning large chunks of data, algorithms can quickly, efficiently, and more importantly – correctly analyze the condition of a given patient. This has proven very helpful in the process of predicting diseases. Apart from that, by employing image recognition techniques, computers can help provide a more accurate diagnose and assign a more comprehensive treatment. Artificial intelligence applications can also help inform the doctors about the side effects of particular drugs or the combination of such. Robots have proved very successful in conducting test surgeries that are harder-to-perform by human doctors. Artificial intelligence-based solutions help companies develop products and services that are tailored exactly according to their customers’ needs and preferences. In the digital marketing industry, for example, AI-based solutions help increase users’ engagement, as well as improve the customers’ loyalty. All this usually results in growing sales and better financial results. In the finance industry, A.I. assistants, due to the flexibility and the efficiency that they guarantee, are now steadily penetrating the wealth management niche with Robo Advisor investment services ​along with automated self learning day trading expert advisors. That way, by requesting basic information about the particular client, the digital consultant can suggest suitable products or portfolio diversification scenarios that can help clients achieve their goals. AI helps start-ups and existing businesses to operate way more efficiently and at reduced costs. The consequence of this is the company’s ability to invest in research and development, marketing or other highly-important business processes, as well as to resist numerous operational risks. For example – today, a company can start a business with way less investment, when compared to a decade ago, thanks to all the available information, the digitalization of the economy and the connectedness of the world we live in. Artificial intelligence usually contributes to executing mundane tasks by eliminating the need of hiring people for low-skilled work. Apart from that, it is capable of handling way bigger workload, which contributes to the company’s overall productivity and efficiency. Start-ups and existing companies nowadays usually dedicate their first-level support to bots which are programmed in a way that allows them to fulfil all the tasks, typical for the support staff. A company can run its business with a few employees, by automating most of its processes – from production to customer support. Apart from all the benefits it brings, artificial intelligence has some negatives as well. This is the reason why it is often described as the villain that will take over our world, steal our jobs and transform our lives for the worse. Although such statements are way too premature and computers are far off being the main threat for our future wellbeing, it is worth mentioning that artificial intelligence has its cons as well. The major drawback of artificial intelligence is associated with job losses. Experts suggest as a leading argument the idea that computers will slowly, but surely overtake humans in many sectors. And the truth is that this has already started to happen with computers becoming ever-present in factories, financial companies, newspapers, shops, etc. Although for now, A.I. is responsible mostly for basic, straightforward tasks, such as running assembly lines, sorting and analyzing data, etc., in the near future it is expected to take care of way more intuitive and crucial processes. In fact, computers are already capable of writing articles and processing payments in self-service shops which means that the time when more jobs are lost due to the progress in AI may not be so distant. Such a scenario has inspired lots of Hollywood productions. Although it is quite exaggerated to believe that computers will become our enemies, it is more reasonable to fear of situations where we can’t explain the reasons behind the decisions machines are making. For example, a few months ago, the CEO of a $97 billion artificial intelligence hedge fund, revealed that even the developers of their propriety system were unable to understand and explain its trading decisions, although they lead to enormous profits. If such scenarios translate to other industries, the consequences may be far-too-unpredictable. What differentiates computers and humans (and will continue to do so in the near future) is AI’s lack of judgement skills. Computers are unable to contextualize information and take reasonable actions according to a specific situation. They are programmed to make choices upon pre-programmed rules and scenarios. However, in the real world, some situations require for the information and the circumstances to be taken out of the context and be analyzed in a more untraditional way. This, for now, remains a hard-to-gain quality. The truth is that we are yet to reveal how our brain works on practice. However, the one thing that we are certain of is the fact that creativity is common only for humans. Computers, on the other hand, are unable to act in a creative and unexpected way to solve a certain issue. What they will do is follow common steps and a pre-defined methodology, which in extraordinary situations, will turn out ineffective. Although computers are able to learn by doing and become better with time, their ability to react in abnormal situations will not get significantly improved. Creativity remains and will continue to remain the main thing that differentiates humans from machines. The efficiency of the machine learning algorithms behind AI-based solutions is heavily dependable on the quality of information that they are fed with. Just like the case with financial data, in many industries, the data can sometimes be inadequate, biased or incomplete. This often affects negatively the conclusions of AI-based solutions. Although this is not a problem caused by Artificial intelligence directly, it still limits its efficiency. Although in the long-term, artificial intelligence becomes cheaper than human labor, in the short term, it often turns out to be way too expensive for some companies. The development of AI solutions requires significant investments, which, of course, are going to repay themselves in the near future. Still, in the present, they remain financially extensive and may limit the operations of some companies. This case is often valid for built-from-scratch propriety solutions. When it comes to SaaS (Software-as-a-Service) solutions, the costs are way lower and affordable for all types of companies. Computers can be as responsible and as intelligent as their algorithms allow them to be. And these algorithms often contain their programmers’ biases. In cases when an important decision should be made, such an issue may affect negatively the outcome of the situation and lead to unnecessary consequences. This has already proved to be a problem with self-driving cars and the decisions they make in situations when not following the rules can mitigate deadly consequences and save human lives. If computers continue to develop at a similar pace, they will surely take over low-skilled jobs. This means plenty of people’s professions will turn out to be needless for the wellbeing of the economy. The main issue here is the percentage of these people that will be willing to improve themselves, gain additional skills and re-qualify for other types of jobs. A big part of those who are replaced by computers will not be motivated enough to find an alternative scenario for their future or even find it difficult to become better versions of themselves. Such an issue has the potential to raise serious social instabilities. This, of course, does not mean it isn’t the natural way to go or highlights the need of slowing down our progress to serve a certain group of the society. Just the opposite – we must find an appropriate way to navigate the whole transition, which in the short term, may turn out to be difficult. If Artificial intelligence lives up to the hype and becomes the dominant force of our future, in the end, we will face a significant power overhaul that may destabilize the current structure of our society. Companies that control and develop AI solutions, as well as those who have the capital to hire them, will become the new power figures in charge. This means that the companies which manage to become the dominant force may shape our future according to their own vision and perception. In the end, there is the risk that AI may not fulfil the potential it is renowned for. Although the progress in the last few years was a remarkable one, there is no guarantee that we will be able to continue with the same pace and when it will reach its peak. In a few years from now, we may have progressed significantly, as well as reached a state where we are still using A.I. for time-saving tasks and not some independent and systemically-important operations. There is also the chance of Artificial intelligence becoming a mainstream thing that may not drive us as further as a society, as expected. Whether we want it or not, AI is here to stay. The technology has brought so many positives so far, that it is hard to imagine that it will stop driving us forward anytime soon. When I was struggling with coding new day trading systems, I luckily came across the A.I. based stock screener from Trade Ideas. Their newest feature is the automated trading API. In 2017 and 2018 their A.I. based algorithms have beaten the financial indexes like NYSE and NASDAQ in terms of performance. If you are a short term trader or investor, you should read my comprehensive Trade Ideas review​. ​​Apart from all the positives, computers are also raising some alarming signs on the associated risks. ​In the end, it is up to us to shape the way artificial intelligence will develop in the future. ​If we manage to play our cards right, Artificial intelligence will make us a better society and help us solve some of the most serious problems that we are currently facing. The potential is present, now it is up to us.